Haydn — Piano. Push. Play. This piano spent some quality time at the summit of Mt. Tabor and now finds itself at Portland Center Stage at The Armory. This piano was decorated by the wonderful folks at Splash Worldwide. 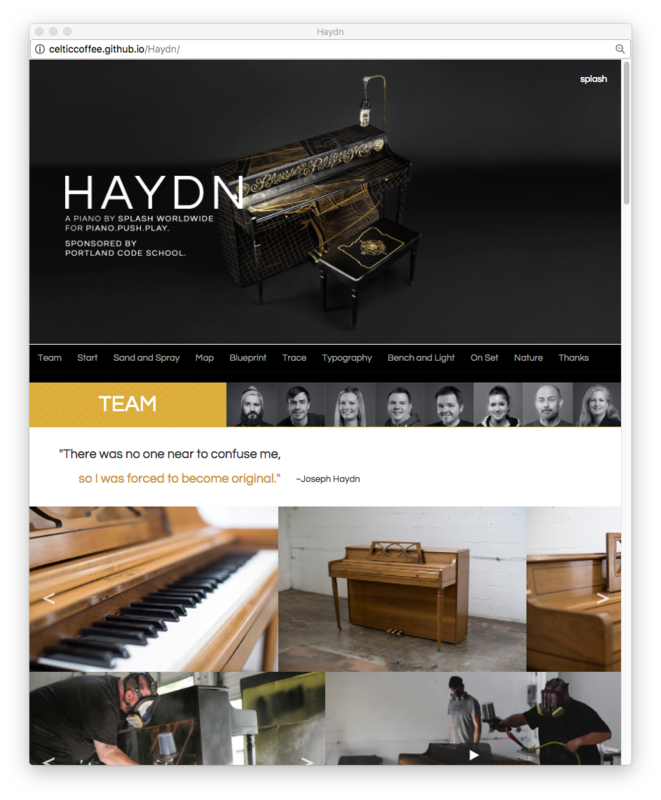 You can learn more about Haydn's incredible journey at a beautiful site designed by Brent Batcheller and built by Wendy Goodwin. Note: If you want to visit this piano, please contact the location. Many of our forever homes are not open to the public. But, you can probably take in a show and tinkle the ivories during intermission! This piano is sponsored by Portland Code School.